We began our session at this sandy palm tree lined trail. 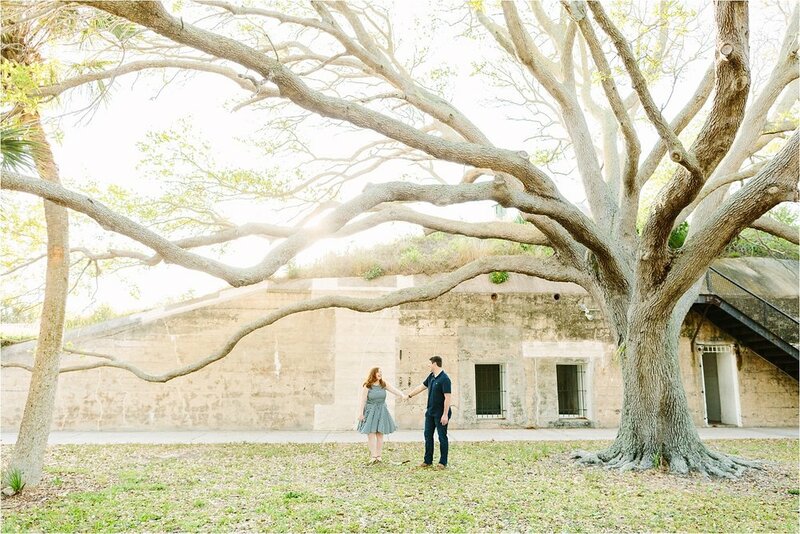 It was the perfect start to a sunny session that featured some of Florida’s best landscapes & plenty of sweet moments. 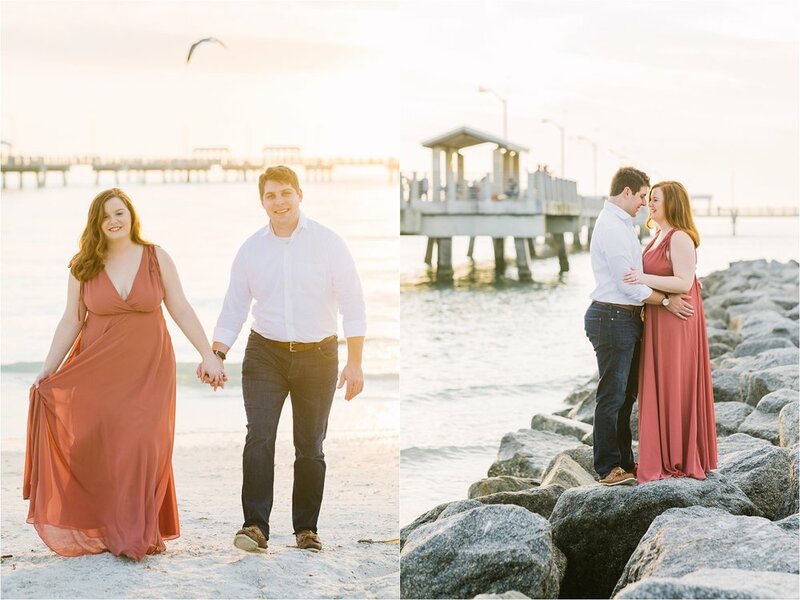 Despite driving multiple hours to meet us, Ben + Angie were so smiley & cute throughout the course of their session! They brought with them an infectious energy and we all instantly clicked. This should have been expected since we’re all Ohio kids. Ben + Angie moved to Florida to enjoy the sunshine & escape the cold (something Donny & I entirely understand, as we are currently on our month long off-season work vacation in St. Pete). They were also complete naturals in front of the camera. 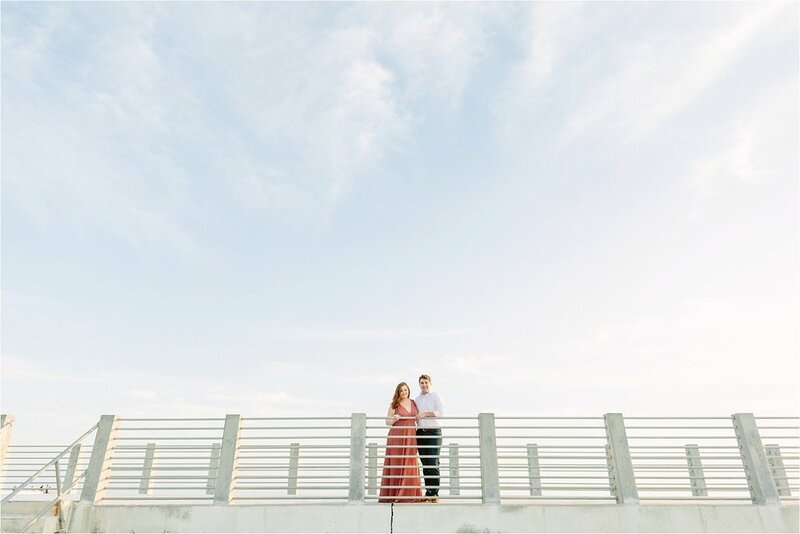 Ben + Angie were so much fun to work with! I couldn’t stop staring at Angie’s ring! Good job, Ben! Next, we visited the historic fort, utilizing its rustic walls, aged oak trees, cannons, & more. We couldn't get enough of this location. It was stunning! So magical. Is anyone else getting Notebook vibes? While the fort and surrounding landscape offered lots of great variety and scenic backdrops, the beach was just as amazing. The gulf pier & historic battery bigelow were sublime at sunset. The latter was especially romantic & unique! How amaaaazing is this spot at sunset?! 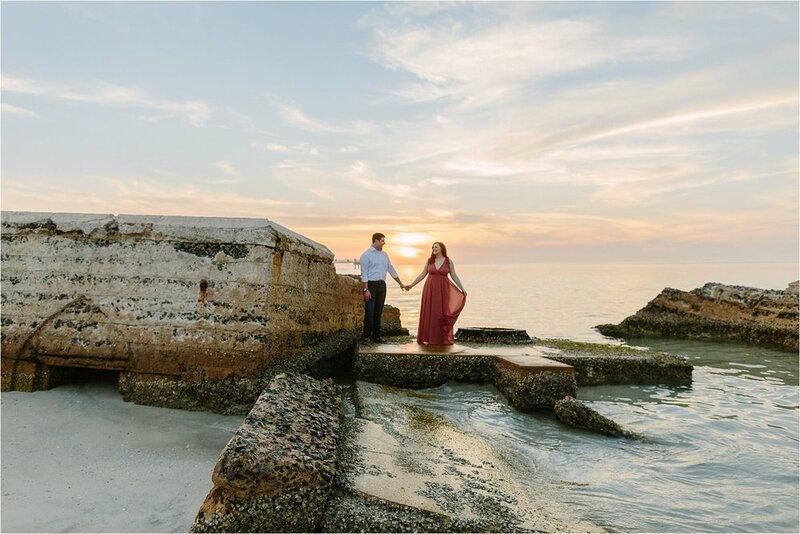 We so enjoyed our time with Ben + Angie during this magical sunset engagement session at Fort De Soto Park in St. Petersburg, Florida! 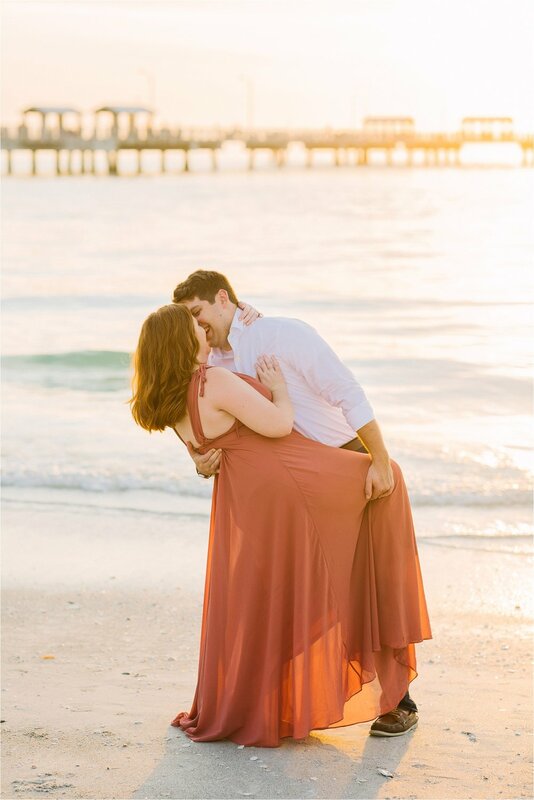 The perfect couple at a scenic location with the prettiest sunset apparently makes for a wonderful photo shoot—who knew? !